We had tickets for a Broadway show, and not just any Broadway show, but actually the show that won the 2014 Tony Award for Best Musical. We were so excited, but only two days before our trip I realized that we hadn’t secured dinner reservations anywhere for that evening. I called the concierge of the hotel where we were going to stay – the Loews Regency Hotel on Park Avenue – to get ideas. 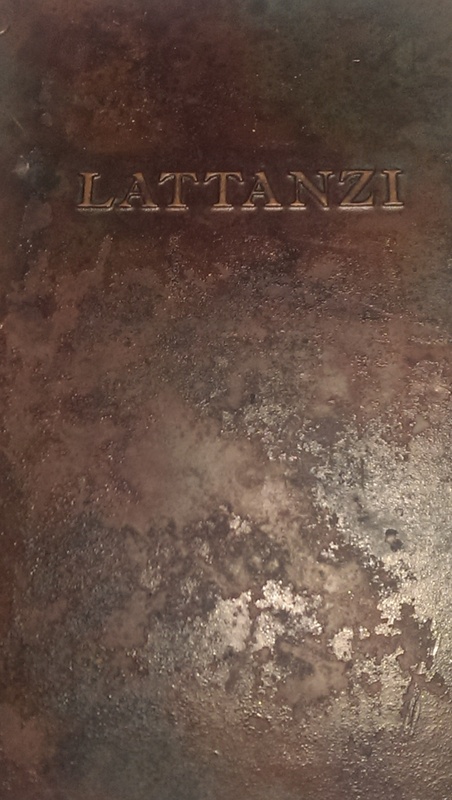 The concierge was great and helped me decide on Lattanzi Ristorante, an Italian restaurant in the Theatre District that was only a couple of blocks away from the theatre where our show was playing. The restaurant was packed, mostly with other theatre-goers, and we were immediately served warm bread, breadsticks and an assortment of olives. The service was phenomenal. 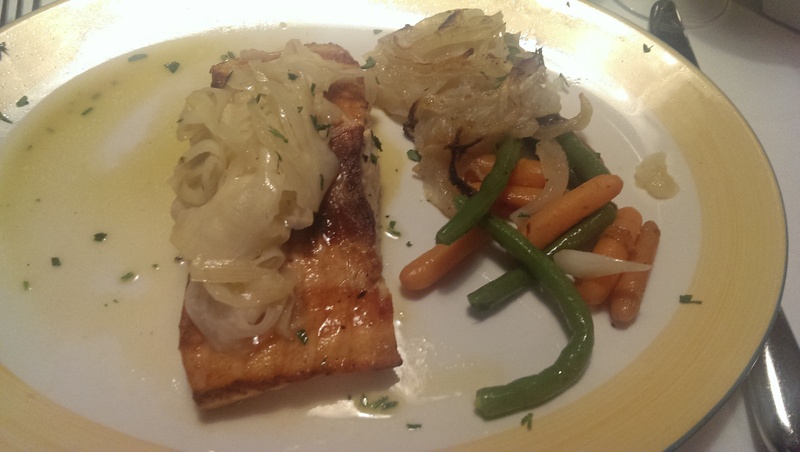 I had the filet of salmon with fennel, olive oil and garlic in a white wine sauce with vegetables on the side, and it was amazing. I’m usually more of a fan of raw vegetables rather than cooked, but the green beans and carrots were really fantastic. 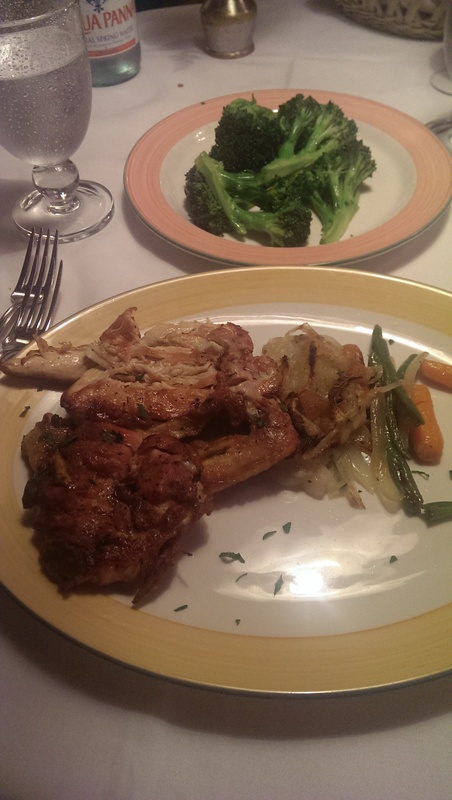 Jon had a boneless breast of chicken, pounded thin, marinated and grilled, and served with vegetables on the side. We split a side of broccoli, and again they were somehow cooked to as close to perfection as possible. After we finished off our entrees, we had plenty of time to get to the show, so there was no excuse not to have dessert. Jon ordered the Napoleon, which was a beautiful cake that he honestly ate so quickly that I never got a pic of it! 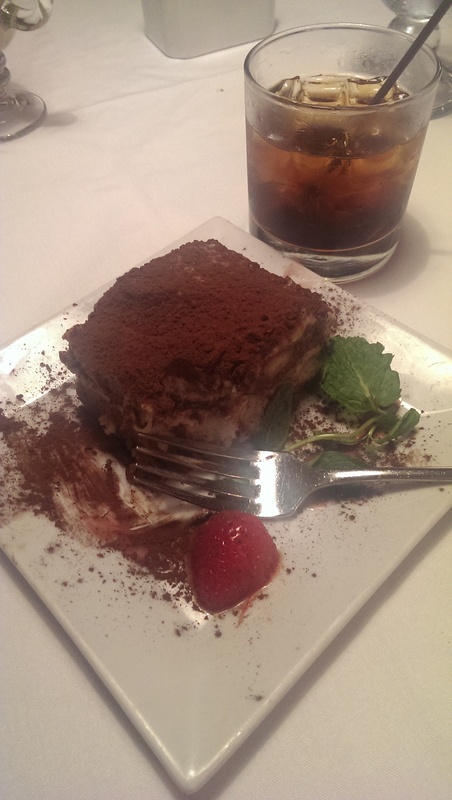 He ordered a black russian for me, which was great with the tiramisu. 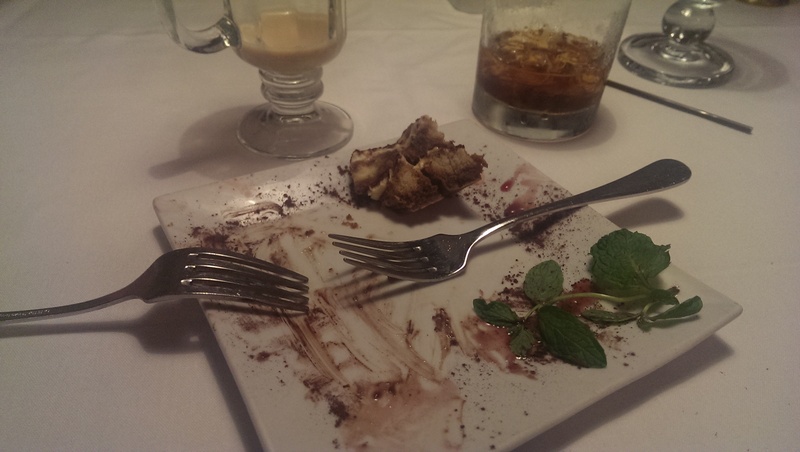 We tried to finish it, but couldn’t even eat the last bite – it was that rich. We loved the dinner and arrived at the theatre with time to spare, and we were thrilled to find that our seats were located at the very center, near the stage. 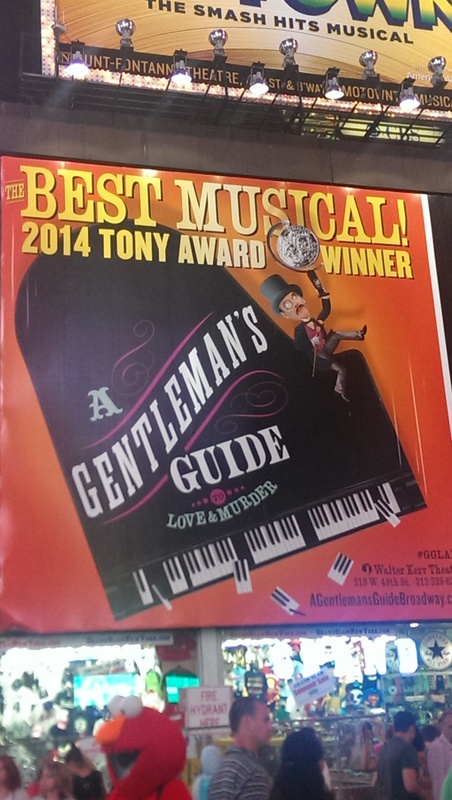 Seeing “A Gentleman’s Guide to Love & Murder” was a phenomenal experience which deserves a review of its own. After the show, we walked over to nearby Times Square. Jon had never seen it, and at night it’s exciting! We people-watched and looked all around at the lights and amazing ads that seemed to fill the sky. It was awesome to see a huge ad for the musical in lots of vivid color. The walk back to the Regency was long, but we didn’t mind at all walking past Rockefeller Center, the famous Apple Store on Fifth Ave., The Plaza Hotel, and the many other familiar sites that make Midtown so wonderful. The evening was incredible, and I can’t wait to return to New York with Jon to re-live the experience and make new memories. There are many, many NYC restaurants yet to try….